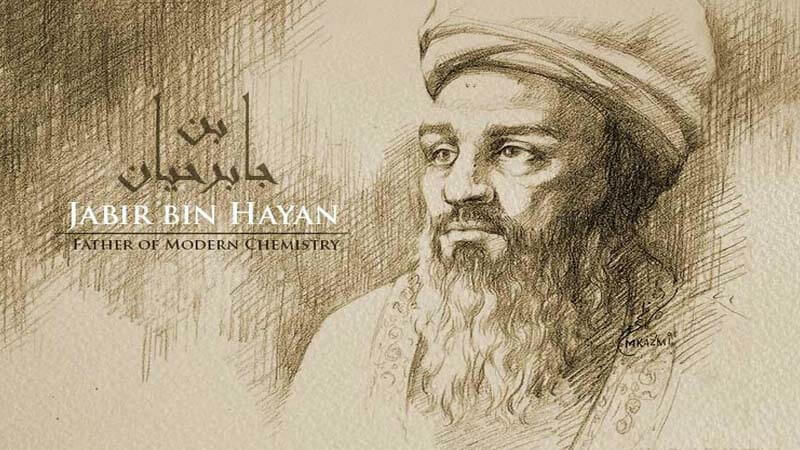 In this article, we give highlights of three main founders of Experimental Chemistry: Jabir Ibn Hayyan, Al-Razi and Al-Majriti. One of the points raised by Holmyard, which was fundamental to chemistry, and to the development of science in general, is the development of its practical side, that is experiment. This, in fact, is one of the most sticking points in the history of science, a fact that has suffered much from the distortions of scholarship dealing with the history of science. Jabir’s overral achievements are elsewhere summarised by Al-Faruqi. 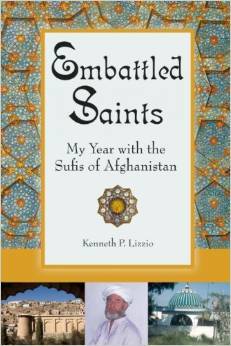 Some of his writing includes Al Khawass al-kabir (the Great Book of Chemical properties), al-Mawazin (Weights and measures), Al-Mizaj (Chemical combination, and Al-Asbagh (Dyes). On top of that, he built a precise scale that weighed items 6, 480 times smaller than the ratl (approx 1 kg.) Before John Dalton by ten centuries, he defined chemical combinations as a union of the elements together, in too small particles for the naked eye to see, without loss of character. And he invented a kind of paper that resisted fire. Jabir’s other achievements include his perfecting of chemical processes already cited of sublimation, liquefaction, purification, amalgamation, oxidation, crystallization, distillation, evaporation, and filtration. He also identified many new products, including alkalines, acids, salts, paints and greases. He prepared sulphuric acid, nitro-hydrochloric acid (used to dissolve some metals), caustic soda and a multitude of salts such as sulphates, nitrates and potassium and sodium carbonates. Jabir’s works with metals and salts subsequently helped develop foundry techniques and glazing processes for tiles and other ceramics. Thus are illustrated Jabir’s tremendous achievements in the science. 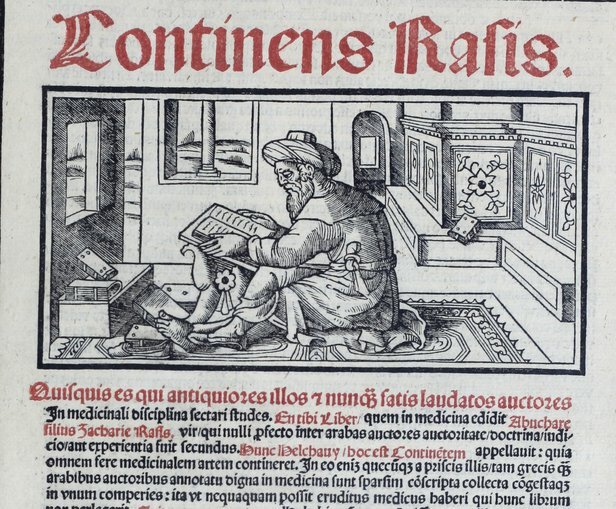 However, instead of focusing on his pure scientific contribution to chemistry, many non scholars from Muslim Civilisation dealing with `Alchemy’, prefer to dwell on the rather tedious, obscure, and un-scientific aspects of his work of the fanciful and folkloric sort of Greek and ancient origins (aspects which both Ibn Sina and Ibn Khaldoun instead denounce very much). Such aspects are also those frequently raised by many Western scholars to discredit chemistry from Muslim Civilisation. Nearly a century had elapsed after Jabir before flourished another maker of modern chemistry from Muslim Civilisation: al-Razi (b. 866). Al-Razi maintained the excellence began by Jabir, and gave chemistry foundations it kept up to our day. In his work Secret of Secrets, he made the very useful classification of natural substances, dividing them into earthly, vegetable and animal substances, to which he also added a number of artificially obtained ones such as lead oxide, caustic soda, and various alloys. He went further in the cataloguing and description of his experiments, describing first the materials he used, then the apparatus, and methods and conditions of his experiments. 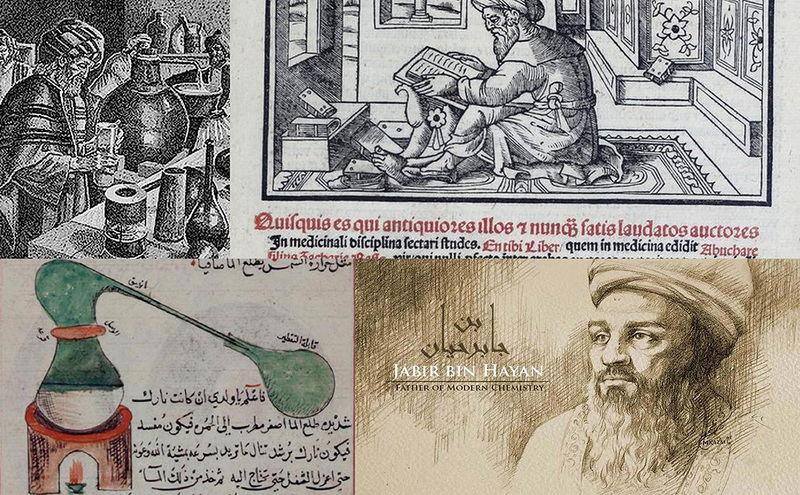 Al-Razi also set up the laboratory in the modern sense, designing, describing and using more than twenty instruments. Both Anawati and Hill provide a good account of such laboratory, the precursor of the modern laboratory, of which many parts are still in use today (to which Hill points out, whilst Anawati does not.) 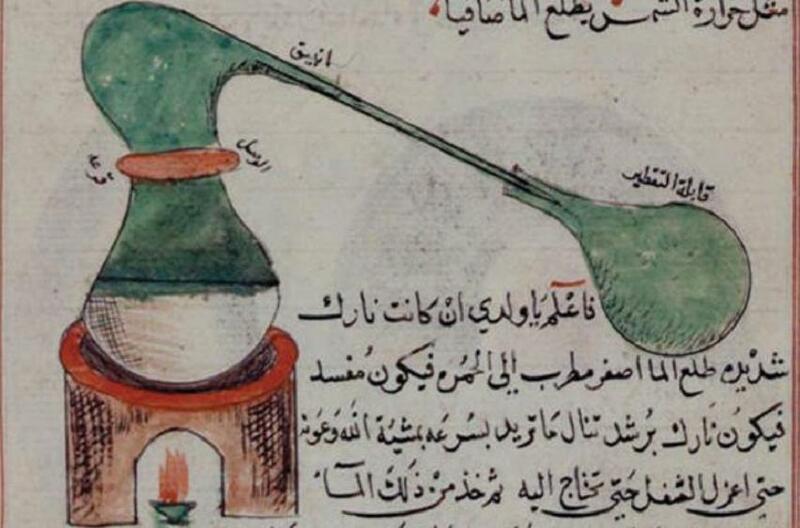 Al-Razi does not just list the instruments used in chemistry, he also gives details of making composite pieces of apparatus, and provides the same sort of information as can be found today in manuals of laboratory art. Also his systematic classification of carefully observed and verified facts regarding chemical substances, reactions and apparatus, all in very clear language, further contribute to make Al-Razi of `exceptional importance in the history of chemistry,’ according to Holmyard. These are, indeed, symbols of modern science; hence, the obvious conclusion that modern science, in practice and methodology, and not just chemistry, found roots in the works of scientists from Muslim Civilisation; chemistry from Muslim Civilisation itself proving to be no occult practice that ended with the European Renaissance. 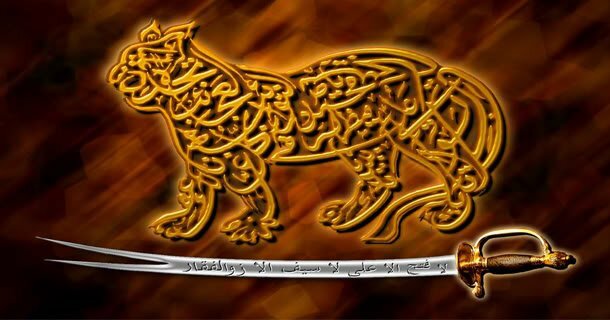 Al-Majriti (950-1007), from Madrid, hence his name, and already cited briefly, was particularly noted for his work Rutbat Al-Hakim (The Rank of the Wise), which amongst other things gives formulae and instructions for the purification of precious metals. This was collected and put together in the year 1009, two years after his death. In this work, Al-Majriti was also the first to prove the principle of conservation of mass, credited eight centuries later to the French Lavoisier, the so called father of chemistry.